but i didnt mind, ev1 buggin me was annoying as heck. 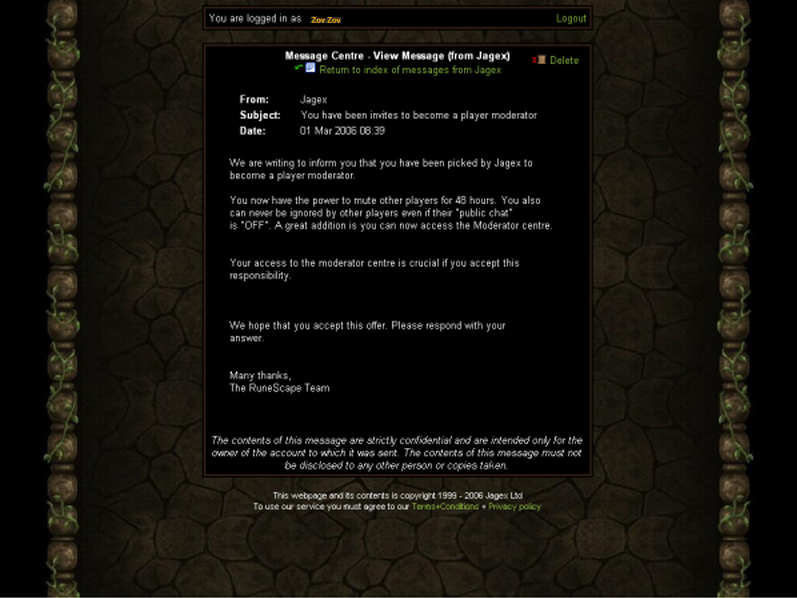 I only ever wanted to be a moderator on RuneScape because I wanted to go on a muting spree. I don't play RuneScape that much anyways. It would have killed an hour. lol, idc to play rs n havent in over 4yrs, i dnt even game ever. I jus love programming Java etc. wow u must off been real lucky to get it.